During his inaugural episode as host of The Late Show , Stephen Colbert surprised viewers with one very special guest before the monologue even kicked off. Jon Stewart appeared alongside Colbert right off the bat (pun intended — sorry, I had to) in the last moments of a very funny opening sequence. The episode kicked off with Colbert contributing his terrible vocals to the National Anthem at every location from a Lucky Strike bowling alley to a factory. At the very end of the song, Stewart popped up — dressed in an umpire outfit, naturally — to shout, "Play ball!" Those who watched Stewart's final episode of The Daily Show will remember that Colbert gave a very touching tribute to his former boss, complete with a long Lord of the Rings metaphor in which he described Stewart as Frodo. It's great to see Stewart supporting his friend and colleague as he starts this exciting next chapter in his career. As Colbert reminded us on the last Daily Show, he'd be mining turds right now if it weren't for Stewart — but no big deal. 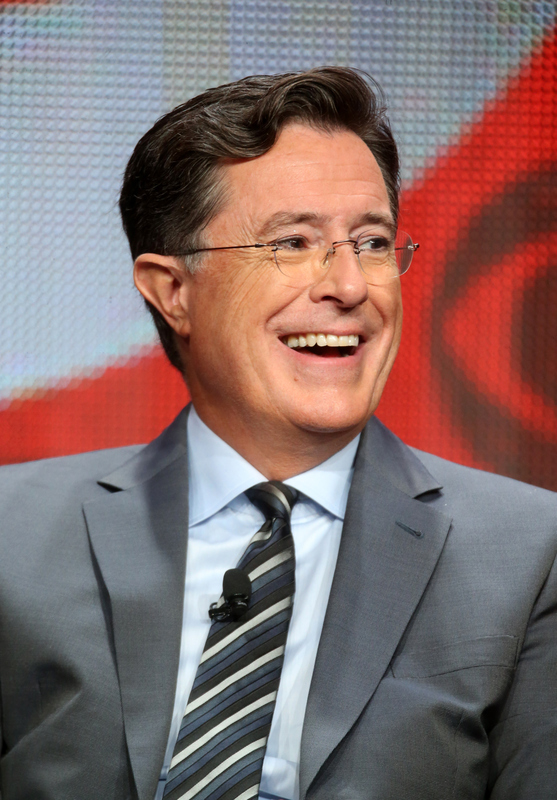 Stewart did us all a huge favor by hiring Colbert as a correspondent because he introduced the world to one of the best comedians of our generation. Although they haven't worked together for years, I love seeing Stewart and Colbert support each other during endings and new beginnings. Watch the clip below. No matter what other surprise guests Colbert nabs for his The Late Show premiere, it'll definitely be hard to top Stewart.